is Vice Mayor of Athens for Social Solidarity, Welfare & Equality since September 2014. She is Associate Professor at the Department of Social Policy of Panteion University teaching on gender, social policy and gender equality policies. 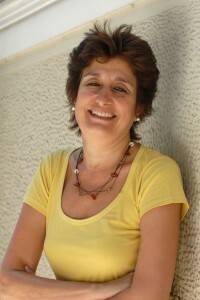 She served as the Secretary General for Gender Equality at the Hellenic Ministry of Interior (2009-2012). From 1991 to 1999 she worked at the European Commission’s Unit on equal opportunities between women and men (DG EMPL). Furthermore, during her professional career she has also been the General Director of the Research Centre of Gender Equality- KETHI (1999-2002) and the Centre for Gender Studies of Panteion University (2007-2009). Click here to see the Report entitled: “Gender equality in the Greek labour market.The gaps narrow, inequalities persist” written by Nelly Kambouri in collaboration with the Friedrich-Ebert-Foundation. The Report emphasizes on gender equality policy-making processes in Greece since the financial debt crisis in 2009. Maria Stratigaki on the 6th of December gave an interview to TV5-Monde. The main subject of the interview was women’s situation in Greece during the economic crisis. In particular, emphasis was placed on increasing women’s employment -as a necessary developmental condition- and on women’s participation in politics. Click here to see the interview. The independent international organization “World Economic Forum” published the Global Gender Gap Report 2012. The Global Gender Gap Index introduced by the World Economic Forum in 2006, is a framework for capturing the magnitude and scope of gender-based disparities and tracking their progress. Download full Report here.